That is absolutely adorable! Did you have a table setting? I don't have a Thanksgiving table, so this will go in a celebration box. 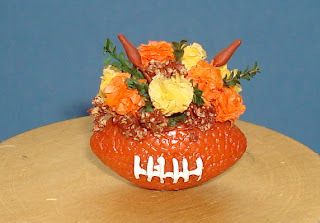 After the Superbowl, Thanksgiving is probably the biggest football day...you are right on target with everything!